1. 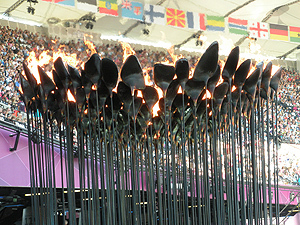 Olympics 2012 - London was the site of the 2012 Olympics and Paralympics summer games held during August into September. Team GB earned more medals than it had ever in the modern era of the games while hosting the largest international field of athletes. 2. Queen’s Diamond Jubilee - The entire country celebrated throughout the spring and early summer with a full program of events honoring the 60 years of Her Majesty The Queen’s reign. 3. Summer Music Festivals - efestivals is a comprehensive fun "definitive guide to festivaling” of all London events, videos, radio broadcasts, performers, tickets and more on one web site. 4. Sporting Events - London Drum City Guide covers all London activities with a great section covering all sporting events. Schedules are included for football, cricket, rugby, tennis, horse racing to name just a few with details on purchasing tickets to all matches and competitions. 5. 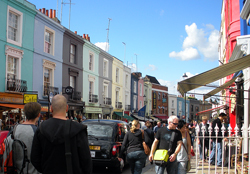 Street Markets - Street Sensation explores London block by block. The site includes an interactive map of 20 street markets all readily reached from central London. Provides detail for each market's unique characteristics. 6. Antique Fairs - Antique News & Fairs is an internet newspaper dedicated to antiques, news, and fairs for the UK and Europe. 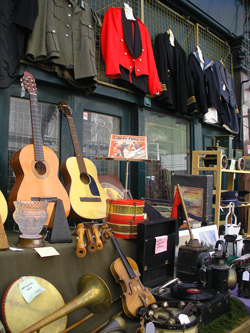 The Fair’s monthly calendar lists of all the antique fairs with the majority held in London. 7. Taste of London - premier London outdoor festival for food held during the month of June in Regents Park. Taste of London web site has newsletters, participating restaurant updates as well as interviews with the chefs and information for next year's event. 8. Flower Shows - everything about gardening, gardens, plants, and flower shows by the Royal Horticulture Society. 9. Free London Events - great daily and monthly listings of absolutely everything to do for free in London. It includes the weather, shopping, sights, parks, and anything else a visitor might want to do without cost. 10. Free-Events - annual calendar of festivals, carnivals, parades, show, fireworks and more that are without charge throughout the UK.